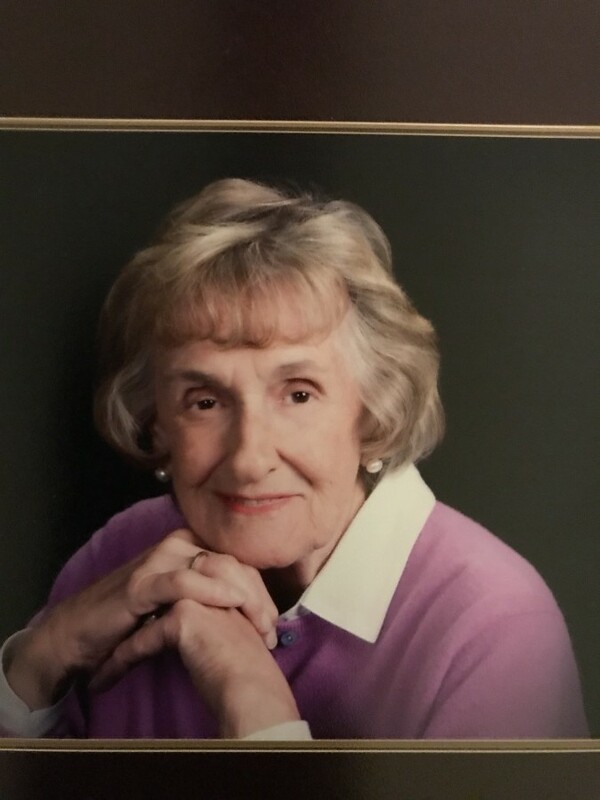 Gwen Ann Campbell Guiraud passed away peacefully January 28, 2019. A life-long resident and descendant of the founding father of Poland, Turhand Kirtland, she was born May 30th 1930, the daughter of Robert Lincoln Campbell and Martha Ellen Gibson Campbell. After graduating from Poland Seminary High School, Gwen attended Mount Union College majoring in music. While at Mount Union she was a member of the Delta Delta Delta Sorority. On August 11, 1950 she married Maurice (Pete) Guiraud Jr. and they enjoyed 50 years of marriage prior to his passing in 2001. Gwen’s many activities throughout her life included her love of music. She was a member of the Piano Teacher’s Association, Monday Musical Group, Director of the Poland Presbyterian Children’s Choir for many years, member of the Chancel Choir all her adult life and performed solos at numerous area weddings and events. Many years ago, Gwen performed a vocal and piano recital to a packed house at the Butler Institute of Art. In addition to having a beautiful voice, Gwen was an accomplished pianist. She taught students for many years and most recently organized and directed a choir at Shepherd of the Valley Poland. Additionally, besides her interest of music, she was a member of the Junior League of Youngstown and the Poland Village Club. She enjoyed many years with her husband and family at their cottage on Pymatuning Lake. She also enjoyed tennis, golf, bridge, painting and gardening. Gwen is survived by her three sisters, Judy (Al) Clark of Carpenteria, CA, Becky Bennett of Poland and Janie Nash of Howland. She also leaves behind a daughter Suzanne (Randy) Baker of Lake Milton, son Robert (Elaine Smith) Guiraud of Sherrills Ford, NC, and son Charles Guiraud of Sherrills Ford, NC. Grandchildren: Alex (April) Baker, Matthew (Tina) Baker, Libbey (Adam) Baumgarten, Alexandra Guiraud and Peter Guiraud. Great Grandchildren: Brady, Blake, Beau, Hayley, Isabella, Lauren, John, Bear and Beatrice. Preceding her in death were her parents, husband, Pete, and daughter, Elizabeth (Bob) Kunz. Gwen’s family would like to thank the staff at Shepherd of the Valley and Hospice of the Valley for their loving care. Calling hours will be held at 10:00 AM on Saturday, February 2 at Poland Presbyterian Church followed by a memorial service at 11:00 AM. The family requests that in lieu of flowers, memorial contributions can be made to Poland Presbyterian Church Music Department, 2 Poland Manor, Poland, Ohio 44514.